From Brewer Creek Trailhead there is a 20 minute walk on dirt to continuous snow at the 7500ft level. 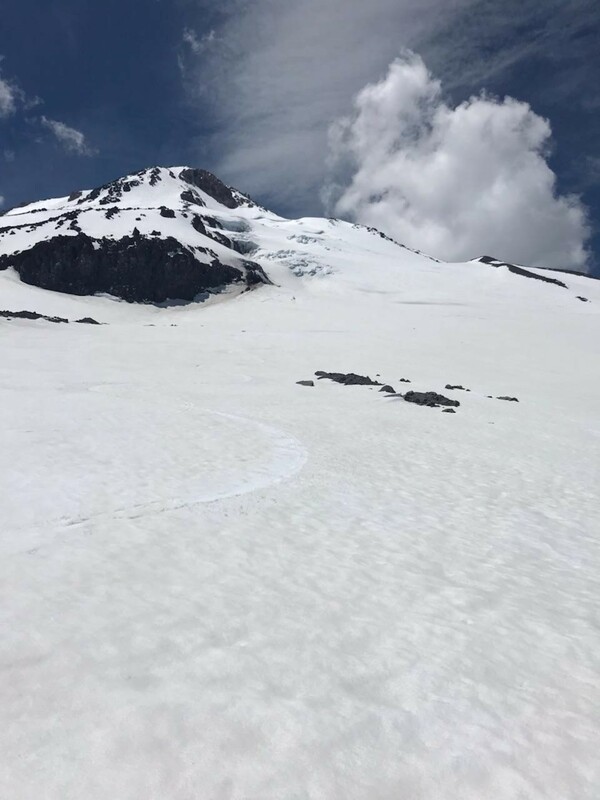 Climbers have found running water at the standard "Hotlum Hilton" high camp. Coverage on the Hotlum Glacier is very good - smooth snow surfaces and most crevasses are bridged with snow. Excellent corn skiing was found on all eastside routes this weekend.